Alfie's Cottage is a home away from home. It is fully equipped with a full oven, fridge/ freezer and washing machine so that you can get settled and cook your own meals whilst also enjoying the wonderful restaurants, wine farms and golf courses on offer close by. There are mountain views out of the cottage windows of the magnificent Hottentots Holland nature reserve and we are very near to the Erinvale golf course and the Lourensford, Vergelegen and Morgenster wine farms. Alfie's Cottage borders the nature reserve and we are based on a road loved by walkers and mountain bikers for its incredible views of the mountains and reservoir. The cottage has barbeque facilities and a private patio to enjoy sundowners after a day out. 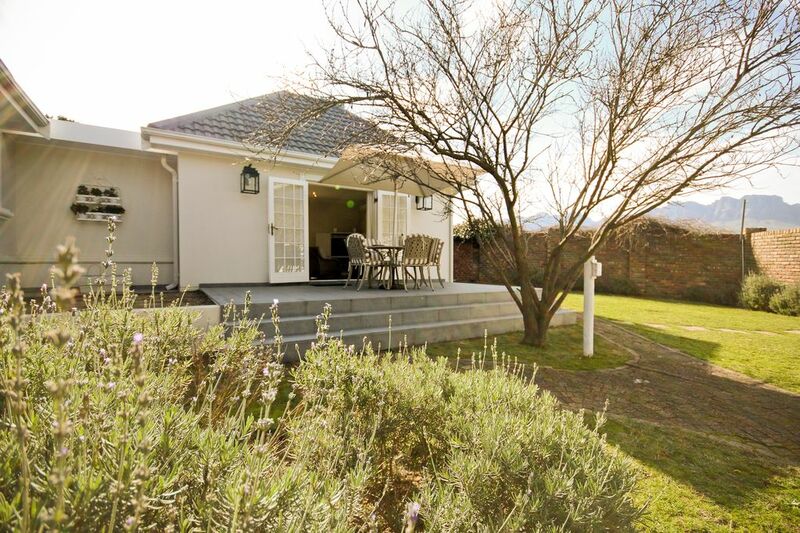 Alfie's Cottage is a place where you can relax, take in the spectacular scenery and walks in our area whilst enjoying all that Somerset West, Cape Town, Franschhoek, Stellenbosch and Hermanus have to offer - all within an hours drive.